The Ingredients of Homemade Pasta in White Sauce -- 2 Servings. Take a pan add water, oil and salt in it. Heat it for few minute .Then Add pasta to it and heat it for more 10 minutes.Keep stirring in between so that the pasta doesn't stick to the bottom of the Pan.After boiling, drain out the water from pasta & pour cold water on it. 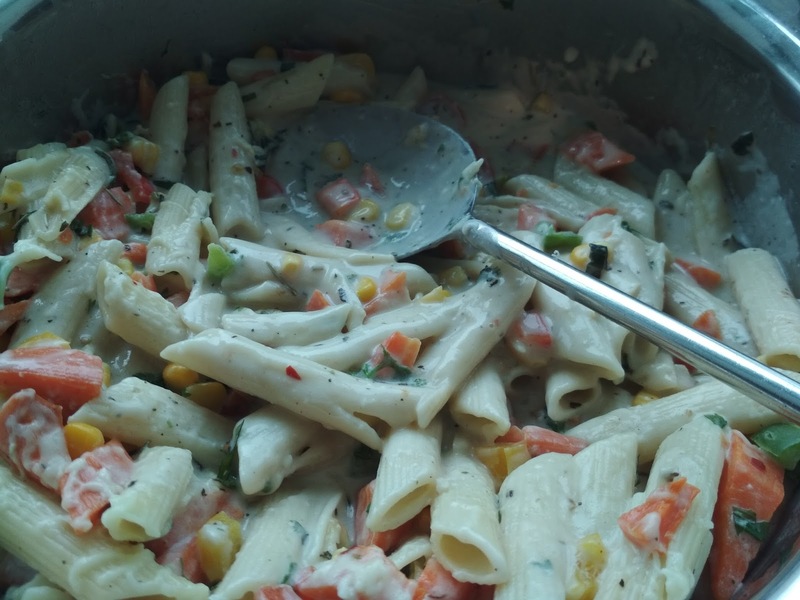 In a pan melt butter, now add all vegetables in the pan and saute it for 2 minutes till they turn slightly pinkish in colour,add corn, capsicum, oregano and again saute them for 5 minutes. Then add flour (maida) to it. Stir it continuously. Saute till maida is slightly cooked. At this stage add milk and add cream and stir continuously to avoid any lumps. When it starts thickening add cheese, oregano, red chilli flakes, ginger, basil leaves,salt and black pepper powder. Heat it for 2 minutes. Now add boiled pasta to the mixture and heat it for 2-3 minutes. 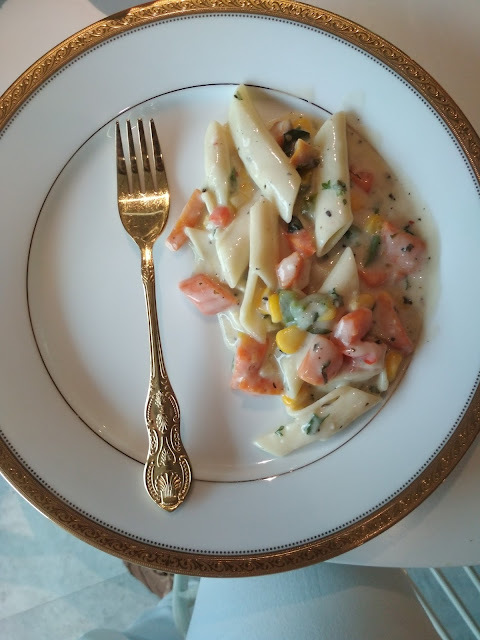 Garnish it with cheese ...Your Hot White Creamy Cheesy Pasta is ready to serve.